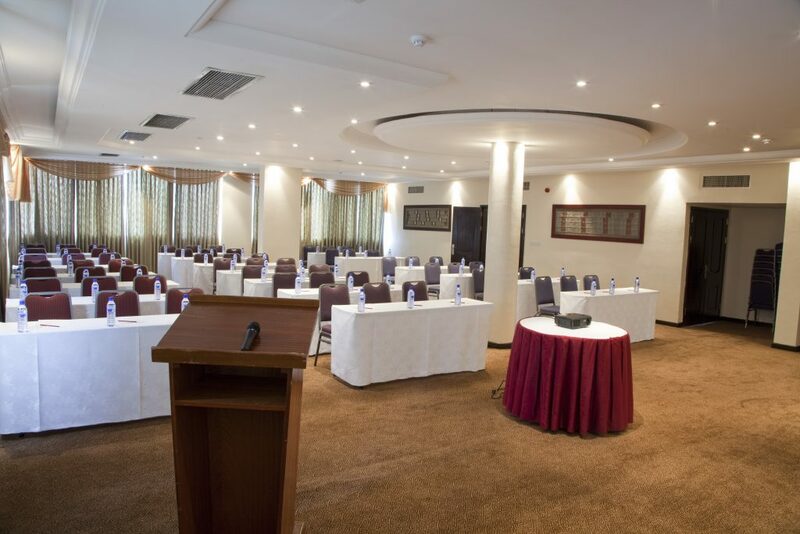 Choose The African Regent Hotel for your next business meeting, sales conference or social event and experience why our hotel is the place to meet. With three versatile meeting rooms, an outdoor multipurpose space, and our award winning conference and banqueting professionals, your event is sure to be flawless! Our spaces are equipped with state-of-the-art audio/visual technology, on-site audio-visual support featuring wired and wireless connections – all backed up with a delectable selection of snacks from our chef. Each of our event rooms is tastefully designed and features high ceilings and wide windows for plenty of light, if that’s what you require.  Our meeting and event planners are on hand to help you plan a truly unforgettable event and assist you with every last detail from menus to audio-visual equipment to centre pieces. Please call us directly on +233 26 8157090/93 to arrange a tour and see how the style and flexibility of our spaces can best fit your needs. We look forward to hosting your next meeting or special event. Located on the second floor, the Kpeehe conference room, is our second largest conference room an answer to your meeting and conference needs. 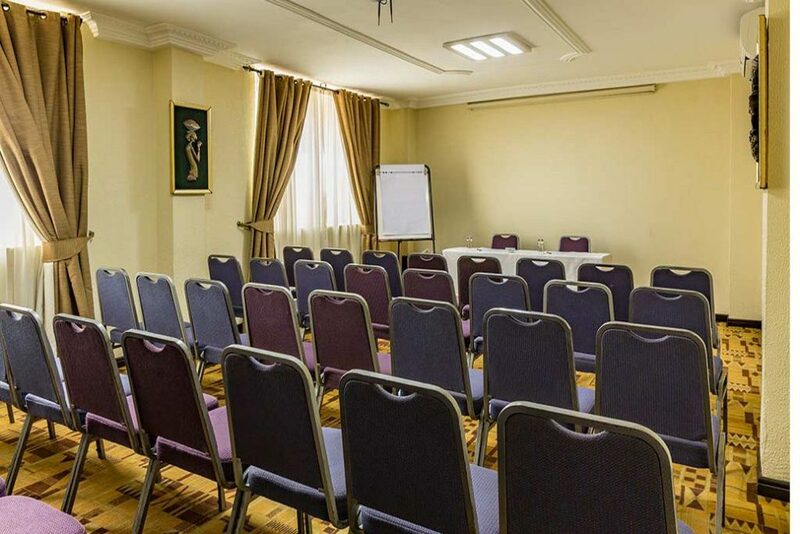 Asomka meeting room, located on the ground floor is best suited for more exclusive meetings, intimate events, or conferences. On the first floor is the Nhyiemu, our largest conference facility. 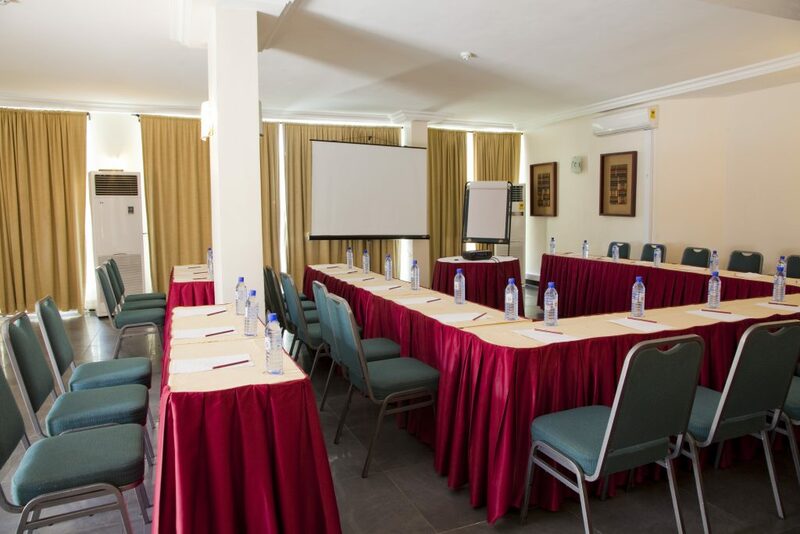 Adjoined by two pre-registration areas, Nhyiemu boasts of ample daylight access and can comfortably seat up to 200 guests. Our signature outdoor terraces ‘Kpeehe’ (Upper & lower) top the list with a 350 guest capacity. 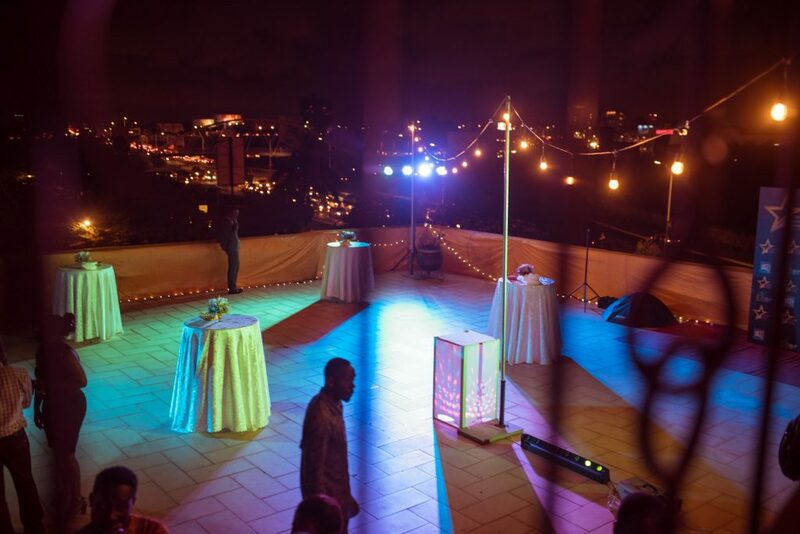 Guests can delight in the fine view of the surrounding neighbourhood and also take in the spectacular city lights at night. 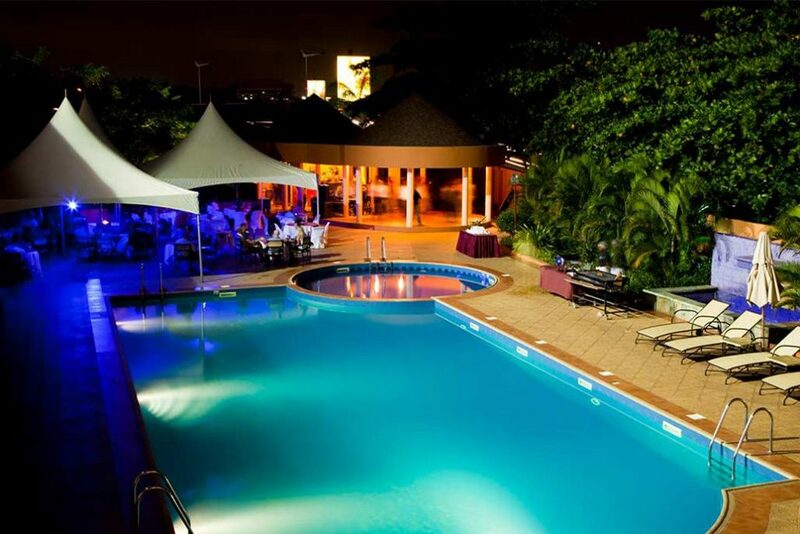 The Poolside is a venue perfect for catered lunches and private parties. This versatile space is ideal for events with a great ambience.